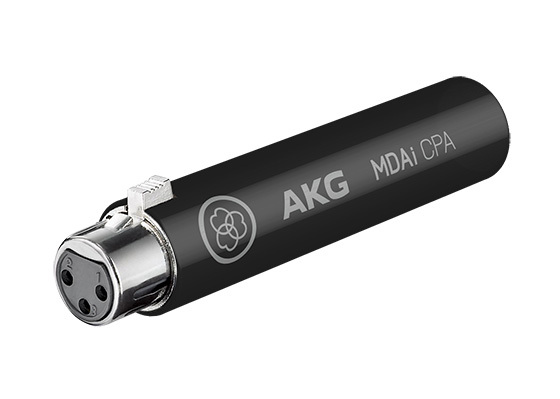 AKG by HARMAN and UK distributor Sound Technology Ltd are pleased to announce immediate availability of the AKG MDAi CPA Connected PA microphone adapter. Featuring embedded ioSYS technology, this small and portable accessory makes the groundbreaking HARMAN Connected PA System compatible with all AKG dynamic vocal mics, as well as mics from other manufacturers. Simply add the AKG MDAi CPA Connected PA microphone adapter to any favoured vocal mic and it automatically configures with the HARMAN Connected PA app and ecosystem, providing effortless setup, instant recall of performer and presets, and great sound for musicians of all skill levels. The HARMAN Connected PA delivers seamless plug-and-play operation with a variety of HARMAN equipment and enables complete control from one app. Products within the Connected PA system self-identify and retain presets for effortless setup, and setup wizards help quickly optimise volume, configuration settings and sound quality. Additional products with embedded ioSYS technology and HARMAN Connected PA compatibility include the Soundcraft Ui24R mixer, JBL PRX800W loudspeakers, dbx Di1 direct boxes and AKG P5i microphones. 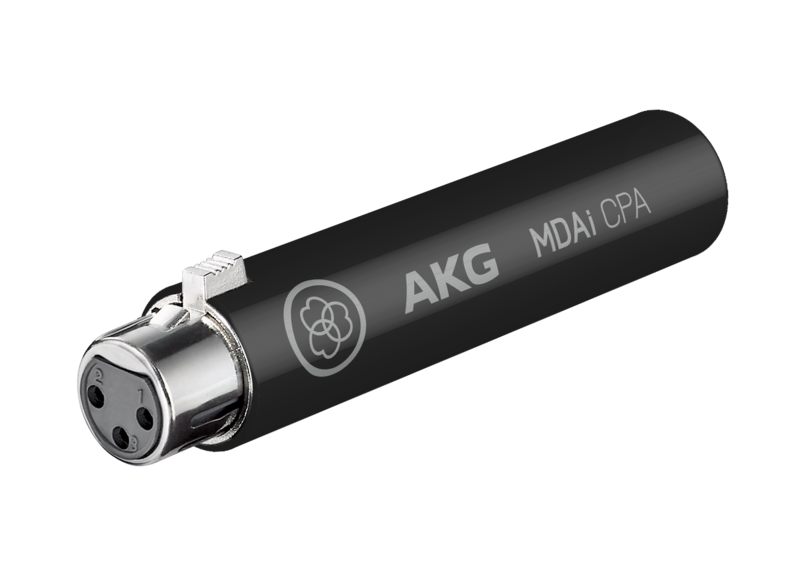 The AKG MDAi CPA Connected PA microphone adapter is available now priced at £49 RRP inc VAT. AKG by HARMAN is distributed in the UK and ROI by Sound Technology Ltd. For more information please call Sound Technology Ltd on 01462 480000 or visit www.soundtech.co.uk/akg. With the AKG MDAi CPA Connected PA microphone adapter, all your favourite dynamic vocal mics instantly become part of the HARMAN Connected PA system. Simply attach the device to any input of your Soundcraft Ui24r mixer and then plug-in your dynamic mic and mic cable for automatic recognition with the HARMAN Connected PA app and ecosystem—providing effortless set up, instant recall of performer and presets, and great sound for musicians of all skill levels.